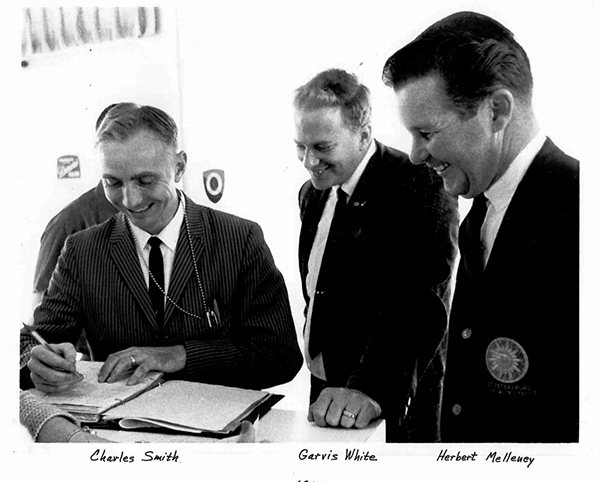 Widely known as "The Man Behind The Band", Charles R. Smith was born February 4, 1936 in Hamilton, Texas. 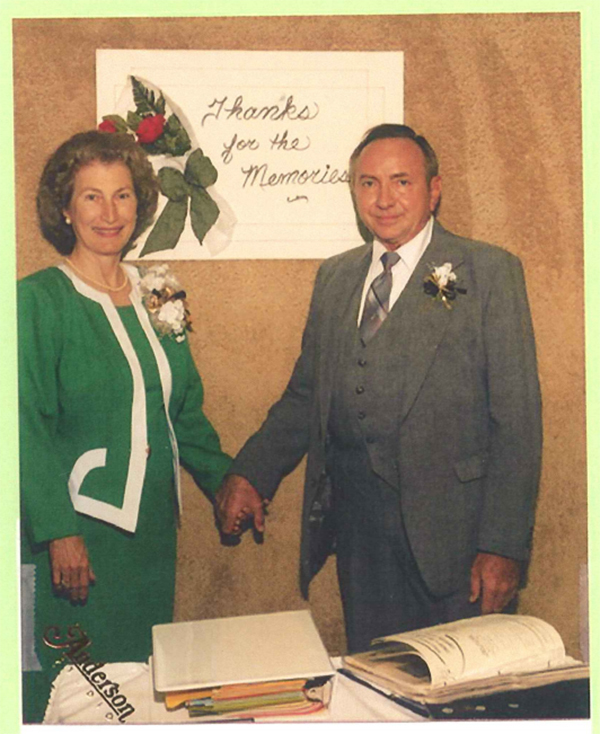 Soon after, in 1940, Charles' family moved to Nederland, Texas, where at the age of 5 he started his first piano lessons. He joined the local school band in the 6th grade, graduated Salutatorian from Nederland High School in 1954, and earned 'First Chair' honors in the Texas State Band. 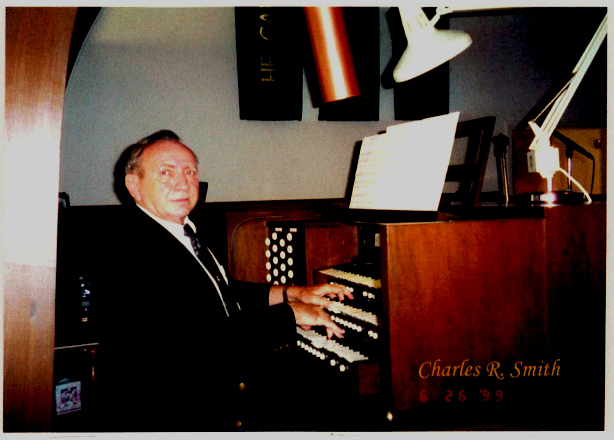 A truly talented musician, Charles began playing the organ for his church at the age of 13, a tradition he kept up for at least 53 years when he was recognized for his lifetime of accomplishments in 1999. 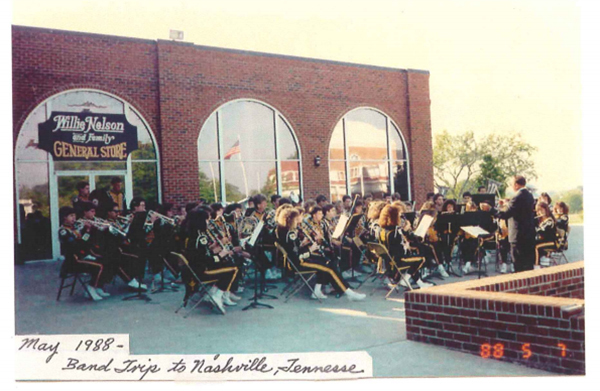 While Charles excelled at playing the piano, clarinet, organ, and saxophone, his musical gift shone most brightly when he was composing his own arrangements, transcribing the music of others, and directing the symphonic band. It should come as no surprise that some of his favorite composers hailed from the baroque and classical periods of music. The inherent difficulty of movements composed by Bach, Pachebel, Hayden and Mendelsshon were what drew him toward them. He liked them because they were difficult. 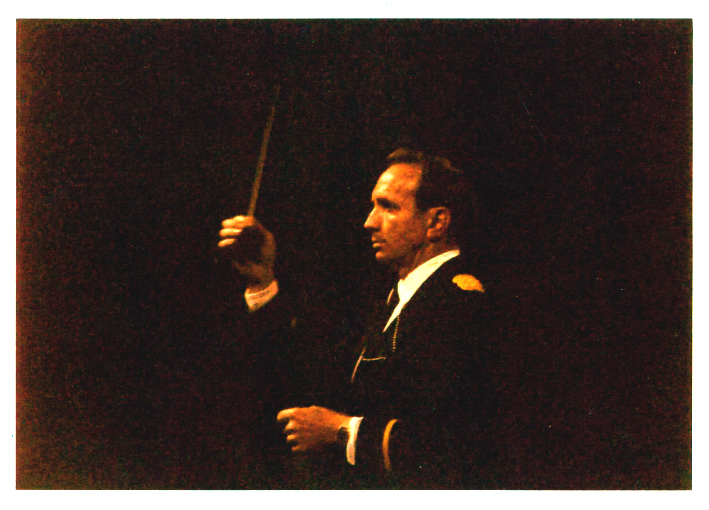 His brilliant ability to take a piece of music that was written for a full stringed orchestra, then transcribe it into something that worked for a symphonic marching band, was unmatched in his time. After earning his Bachleor in music education from Lamar University in 1958, he attended Northwestern University and graduated with a Masters in music education in 1959. 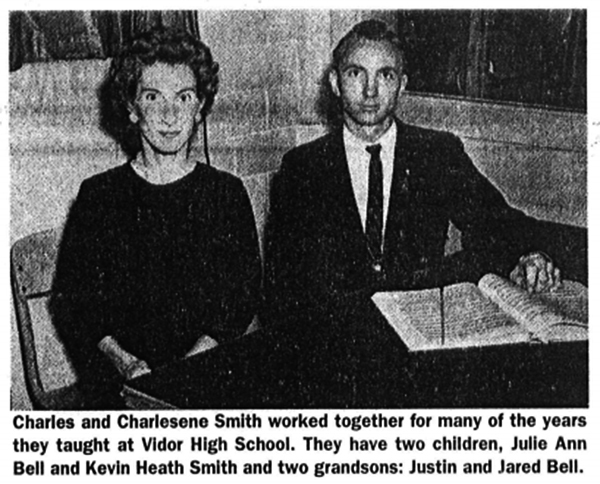 In 1960, he took the lead over the Vidor Junior High School band and married Charlesene Hundson who was a Choir Director and Teacher at Vidor High School. By 1961, he had accepted the position of High School Band Director. Then in 1967, he accepted the Coordinator of Music position. 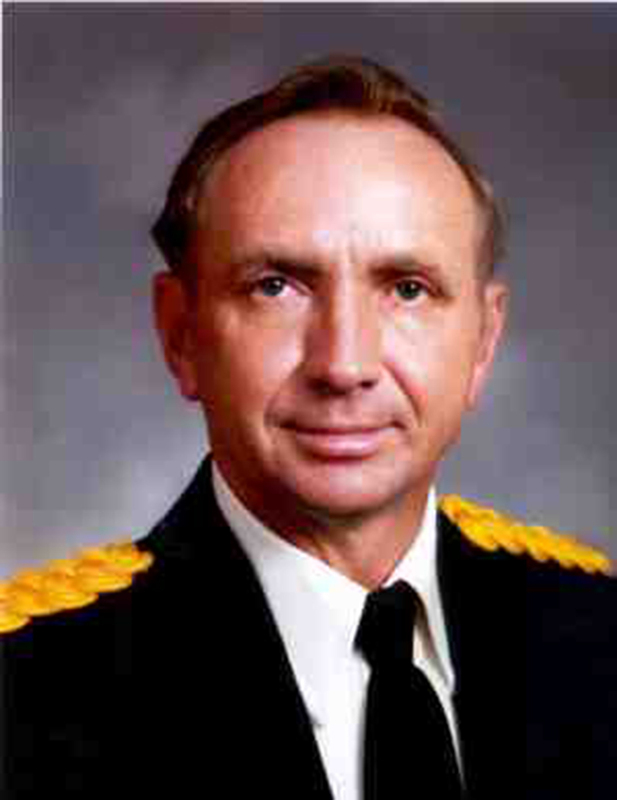 Charles diligently maintained both positions until his retirement in 1992. Under the direction of Mr. Smith, The Mighty Vidor Pirates Marching Band were consistently awarded 'superior' and 'excellent' ratings in TMEA and UIL events. 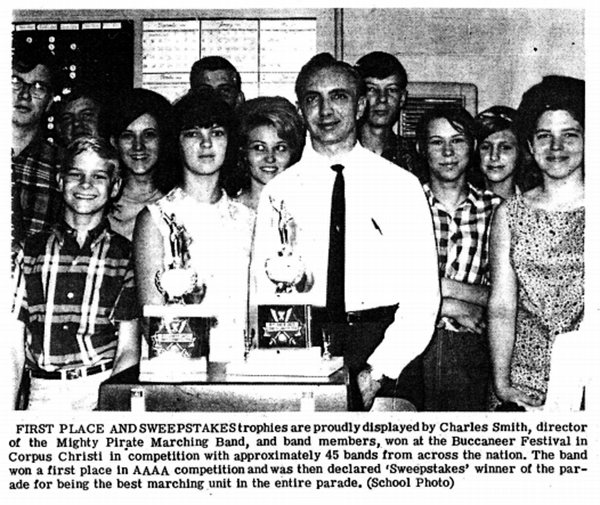 Charles led the band , and occasionally, the entire High School Music Department to many other non-UIL or TMEA events such as..
On 3 seperate occasions, The Tri-State Music Festival in Enid Oklahoma. 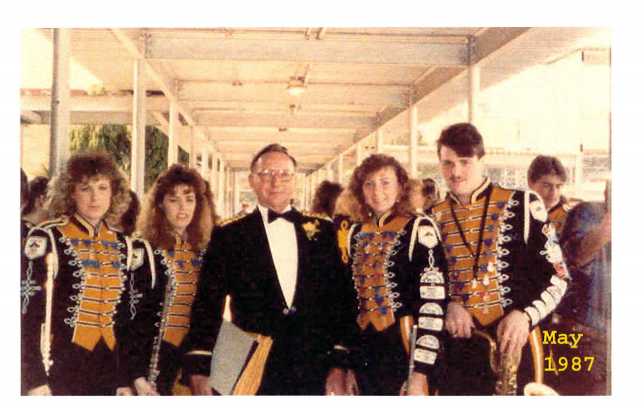 Charles is credited with turning the Vidor High School music program around, and making the band a focal point of community pride. Mr. Smith was not only a formidable musician, he was also a caring educator, and a strong leader. The pride that he instilled in the band members often spilled over into their personal lives. In his band, they learned the value of integrity and hard work, and what it meant to be truly proud and deserving of their accomplishments. Even the small things were imbued with a sense of pride. Every song started with "One, Two, Proud-ly Play". 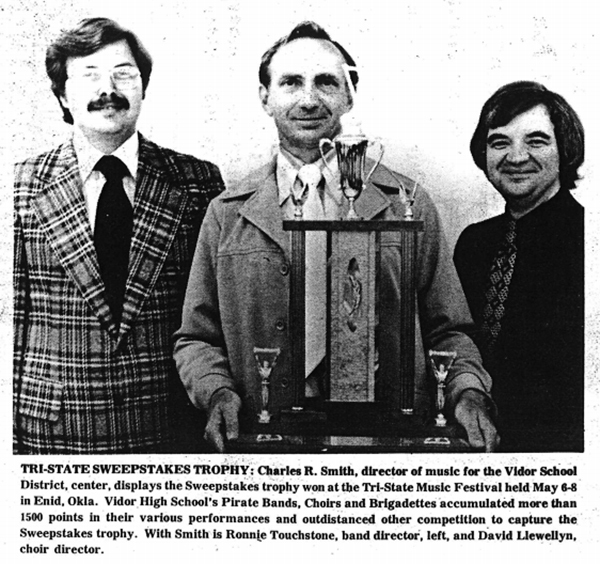 During his career at Vidor High School, Charles started a number of tradions that continue on until this very day, including the homecoming day parade, the legendary lights-out homecoming half-time show, the fireworks show, and the Pirates Escapades. 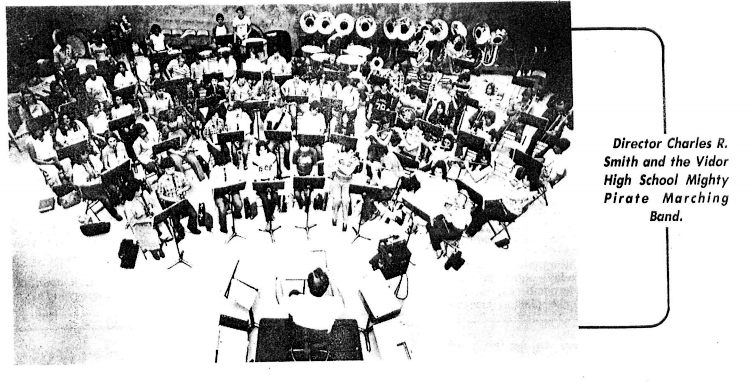 He retired in 1992, leaving a strong and well respected music program, a hugely diverse musical library, and countless students affected by his dedication to excellence in music and performance. 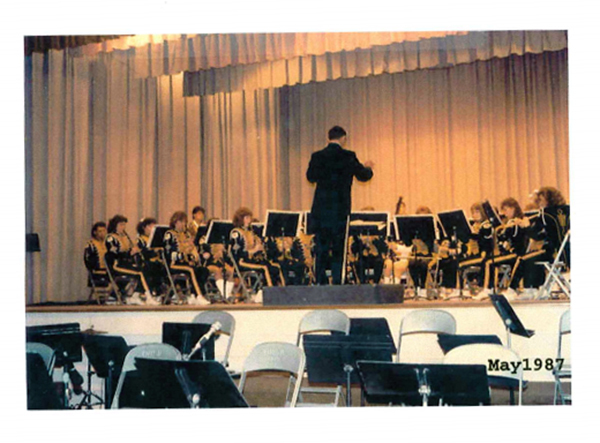 Shortly after retirement, he accepted the position of director for the Orange Community Band, and in 2003 he was inducted as the 172nd member into the Texas Bandmasters Hall Of Fame. On December 13, 2007, CRS Central Standard Time came to an end, but we will never forget the haunting tones of "Slavonic", the privilege of being led by "The Man Behind The Band", or the jingle of those keys.